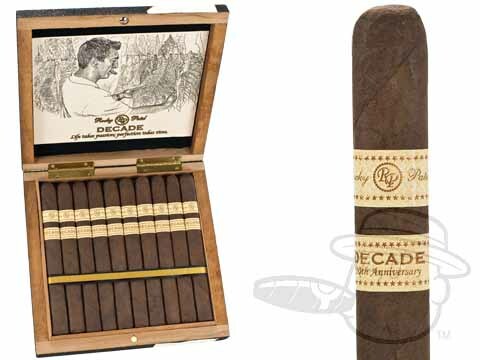 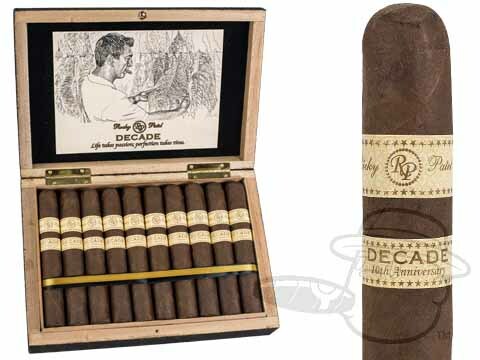 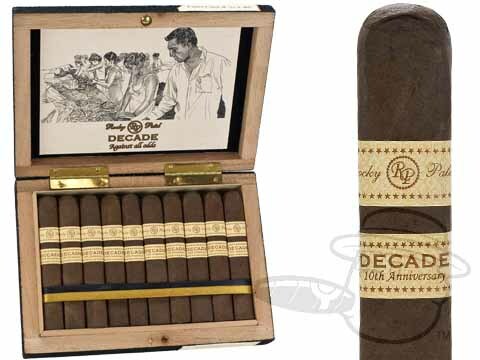 Rocky Patel Decade cigars celebrate 10 years of Rocky Patel in the cigar industry, and the blend is purely Rocky Patel. 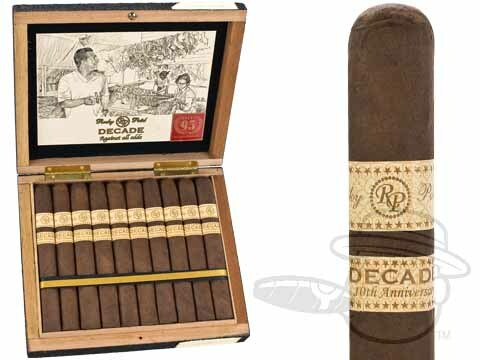 The wrapper of choice is a dark and oily Ecuadorian Sumatra, cloaking a proprietary blend of well-aged, long-leaf Honduran tobaccos. 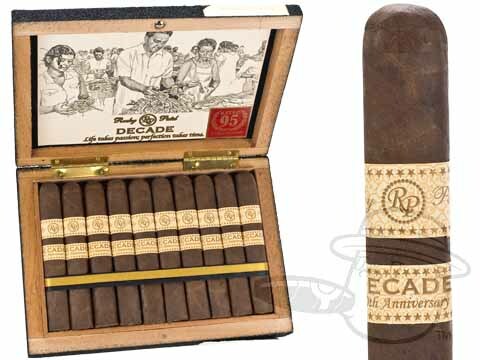 There's plenty of ligero in there, lending a super-spicy taste with hearty notes of toasted wood, rich tobacco, and more. 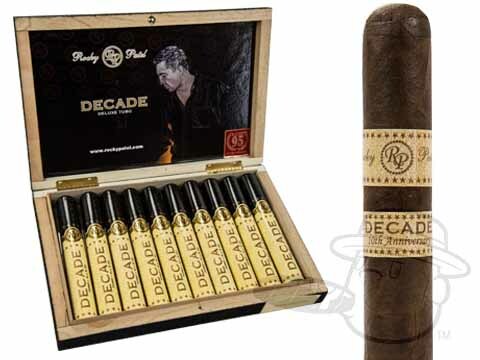 The bold and supremely well-balanced Decade has scored as high as 95 in Cigar Aficionado magazine.